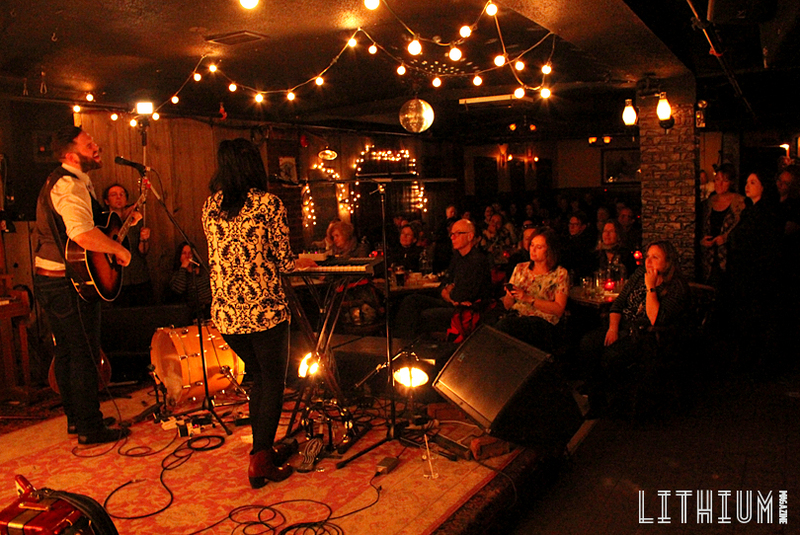 It was close to being a full house on March 11th as the crowd filed into the Dakota Tavern in Toronto. 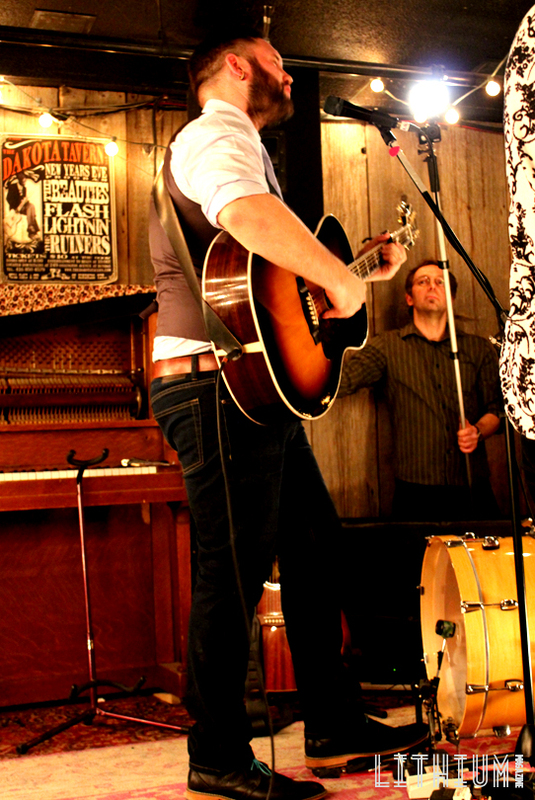 Taking the stage was Newfoundland folk-pop band Fortunate Ones. 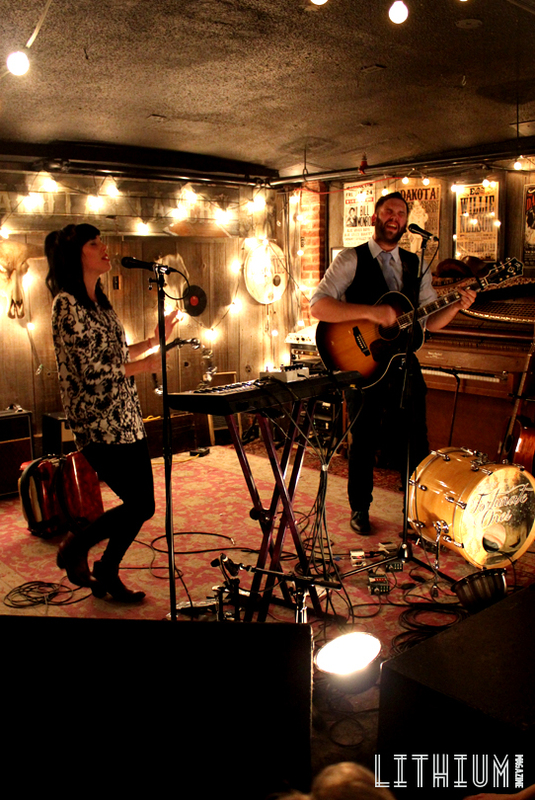 They were in town as part of their eastern Canadian tour for the release of their new album titled The Bliss. The band is composed of singer/guitarist Andrew James O’Brien and singer/pianist/accordion player Catherine Allan. I was blown away by the fact that so much sound was made by just these two people. The sombreness of their music tore at my heart and made me reflect upon the lyrics. 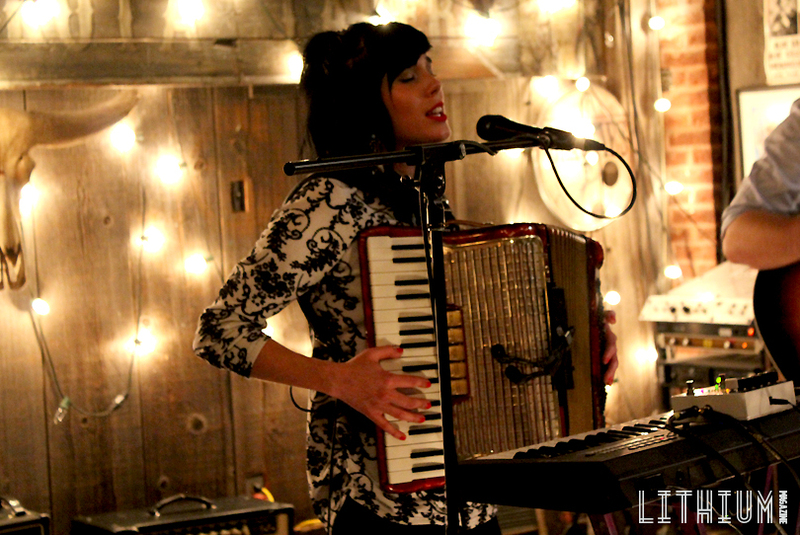 There was also an energy that sparked up at times, both by Catherine on the accordion and Andrew’s guitar. With partial roots in Newfoundland, I grew up with many folk inspired anthems coming from my Mother’s side that lead me to be interested in the band. Having just visited there this past summer and having seen some live music in downtown St. Johns, it was great to experience this type of atmosphere again. I caused me to reach out to some of my cousins who are fans down in Newfoundland. They were happy to know that I and others in Toronto were able to be exposed to their music. Instead of the usual dance floor setup I’m used to at Dakota Tavern, there were mostly small tables that accommodated for the type of show and audience that was present. The crowd loved every minute of the show, continuing their applause at the end so that Fortunate Ones could retake the stage for an encore. The band even turned away from their microphones at one point to do a totally acoustic song that sent shivers through the crowd. I’m really happy that I was able to see this show and experience such a humble, talented duo of individuals. Keep an ear out for Fortunate Ones and make sure to check out their new album The Bliss, which is available now through Old Farm Pony Records.